Cedars-Sinai researchers discovered a way to generate transplantable corneal stem cells that may benefit blind people. “Our research shows that cells derived from corneal stem cells are attractive candidates for generating corneal cells in the laboratory,” said Alexander Ljubimov, director of the eye program at Cedars’ Board of Governors Regenerative Medicine Institute. Scientists used human corneal cells to generate pluripotent stem cells, which are capable of differentiating into various cell types, then put the new cells on natural “scaffolds” and helped create corneal cells. 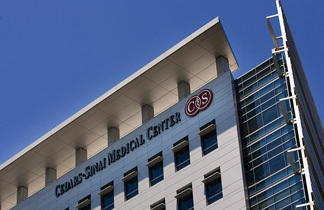 The researchers are now working on organizing and getting funding for a stem cell bank for the purpose of growing corneal cells that may be used to repair defects, which may be caused by genetics, inflammation or injuries, a Cedars-Sinai spokeswoman said. Corneal blindness affects about 150,000 Americans and about 3 million people worldwide. The findings are published in the journal Stem Cells Translational Medicine.